She's Sew Crafty: My First Tilda! 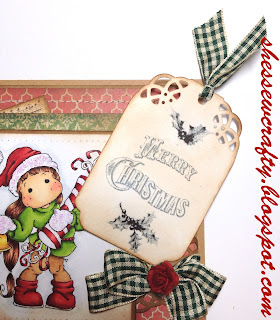 It's Sunday and we have another challenge over at Stamptacular Sunday for you! This week it's "For the Love of Tilda"! Get out your favorite Tilda stamp and join in because we are joined by two great sponsors: Whimsy Stamps is offering a $15 gift certificate and Bunny Zoe's Crafts is offering up a surprise prize! So, if I were you, I would totally get in on that action! I have never worked with Magnolia stamps before, so my fabulous teamie, Chris, sent me my very first Tilda! Without further ado here is my card! "Tilda with Long Hair" is colored with Copics and I added glitter glue to her hat and mitts. A single Wild Orchid Craft rose to give the ribbon a little extra something. Faux stitching around the image and some Vintage Photo distress ink around all the paper. The papers are MME Traveler. A Martha Stewart punch around the page for behind the ribbon and the corners of the tag! I love this card, the design is beautiful. Hugs Chris x Did you enjoy Tilda? Fabulous project! Thank you so much for sharing your wonderful talents with us at Papertake Weekly! Hope you join us again soon! Gorgeous card. Thanks for joining us at Diva's this time. Beautiful card and gorgeous tag. 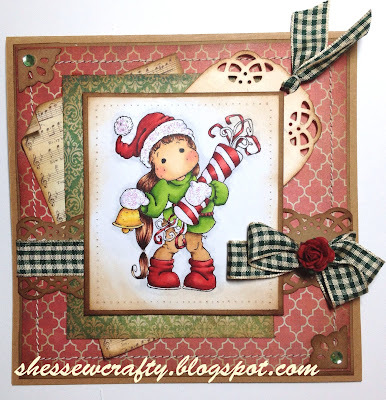 Thank you for playing along at Addicted to Stamps Challenge this fortnight. 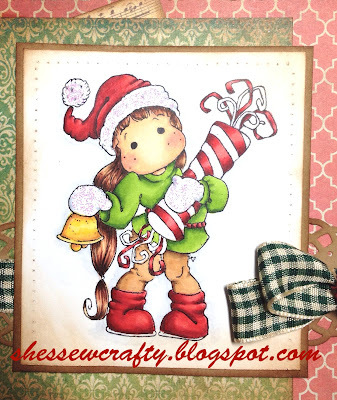 your first Tilda turned out gorgeous.. colored so beautifully..
A lovely Christmas card Danielle, beautiful colours! Thank's for joining us at ATSC this time!